Boston Fuel Injection's parts department stocks filters, gaskets, nozzles, temporary marine diesel fuel lines, glow plugs, injectors, kits, etc. 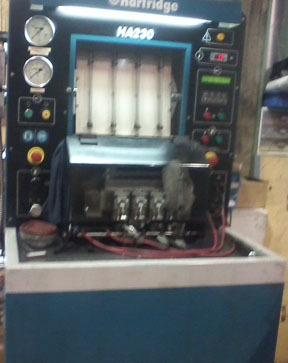 for diesel fuel injection and diesel engine makes. Stanadyne Performance Plus is the leading diesel fuel additive on the market; endorsed by CAT, Cummins, Bosch, and John Deere. Exchange injectors, injection pumps, and turbo-chargers available with core charge. Next day shipping available for most parts. To schedule bay/mobile service or injection pump service, please call your local Boston Fuel Injection, Inc. New England shop, or e-mail us.